With all of the hustle and bustle of the holiday season, packing for a trip can feel overwhelming, even if you’re planning a fun getaway or a reunion with family and friends. I travel quite frequently and over the years I have refined my packing skills with the help of a few exemplary organizational aids and well-designed luggage. 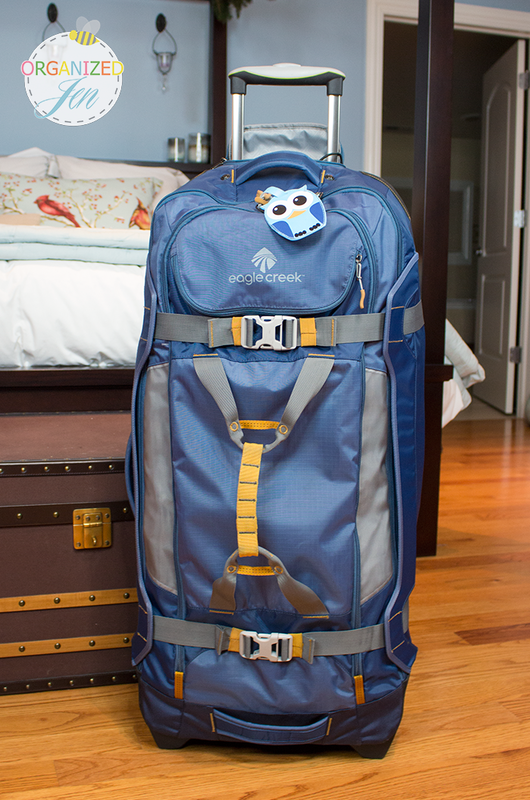 Eagle Creek has always been a personal favorite of mine among luggage brands for their innovative products. I have used and loved their Pack-It System for over eight years now and more recently have come to love their luggage as well, including the Hovercraft collection (which has been superseded by the current Travel Gateway collection). The Hovercraft 25 and 28 upright bags have served me and my husband well in our travels. Let’s just say I’m an Eagle Creek fan. As you can imagine, I was very excited when Eagle Creek reached out to me recently and asked if I’d like to be a part of their Blogger Gear program. They sent me a few products I was interested in trying, including two of their new Gear Warrior bags and a couple of packing organizers I’ve been eyeing. I used all of this new gear on our trip to Disney World in early November when I ran in the Wine & Dine Half Marathon and then again most recently for a holiday getaway to New York City. I immediately fell in love with my Gear Warriors and wanted to share my thoughts on them and my new organizers with you. The Gear Warrior bags are part of the Outdoor Gear collection, which is designed for “Rugged Versatility” and Eagle Creek markets mainly for activity-based travel. I don’t believe you have to be traveling to Peru for an “activity-based” adventure to enjoy this luggage! I have both the 32 and 36 Gear Warriors. While I am not much of an adventure seeker traveller, I do find that these bags are extremely versatile. 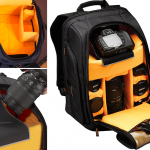 The Gear Warrior Wheeled Duffle 32 measures 15.5″ wide x 32″ long x 12″ deep and weighs in at 8 pounds 7 ounces. The Gear Warrior Wheeled Duffle 36 (pictured) measures 15.5″ wide x 36″ long x 12″ deep and weighs 8 pounds 14 ounces. Both bags are constructed out of a combination of 420D Helix Ripstop, 420D Helix Oxford, and 1000D Helix Ballistic, which are high quality, performance nylons. Each model has a reinforced base and bottom to provide structure and security. The rugged yet lightweight nylon material allows for flexibility in packing. They are basically half suitcase, half duffle. I love that they stand on their own (which the other wheeled duffles we own by L.L. Bean do not) and has handles on every side for easy maneuvering. The telescoping handle slide in and out with ease and tuck away behind a zippered compartment. Two interior compression straps keep your packed items secure and two exterior heavy duty straps ensure your bag is all in one piece during your travels. There are two roomy exterior pockets, including one that acts as a “laundry chute,” which I have used as such while we are vacationing. These are high quality, innovative, and unique bags that are flexible and versatile for all sorts of travel. I really like that they are long but more narrow in terms of width and depth. 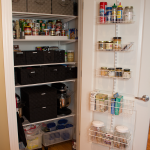 I find that my packing organizers, both Eagle Creek brand and others, fit extremely well in this design. I also have found in packing them that I have not once clocked in at above 48 pounds, even with the 36″ packed to the brim with heavy shoes and toiletries. Yes, these are pricey bags, costing $310 for the 36″ and $285 for the 32,” but they are built to last, and as I’ve mentioned a half dozen times already, oh so versatile. As I mentioned earlier, I have used and loved the Eagle Creek Pack-It System for years. The Pack-It cubes, half cubes, and quarter cubes have been my go-to packing organizers for everything from clothes, accessories, and shoes to electronics, souvenirs, and all sorts of miscellaneous items. I was excited to try out a few of the items from Eagle Creek’s new Pack-It Specter collection, which takes the same functional design of their standard Pack-It line using a new, durable, water-resistant fabric that is apparently is the same kind used to make lightweight tents. I use the Pack-It Specter Folder 18 to keep my husband’s dress shirts and slacks neatly folded and wrinkle-free during our travels. The Pack-It Specter Folder 15 is the perfect size for my silk and fine jersey blouses. I love how each Pack-It Folder comes with a lightweight and handy folding board with the instructions on how to properly fold your clothes to fit printed right inside. The Pack-It Folders keep our nice clothes separate from the other items in our bag and crease free. I also received the Pack-It Specter Cube Set, which includes one full size cube, one half cube, and one quarter cubes all in the specter material. I use the quarter cube to keep my running GPS watch, heart rate strap, and charger together and am able to fit two sets of running clothes easily into the half cube. Both of these pouches fit perfectly along with my running shoes and stretch strap into my new small Pack-It Mud Box. I also used this to keep all of my race gear together in my carryon when we traveled to Disney World for the race. It is the perfect size to keep all of my running gear together and separate from the other contents of my luggage. 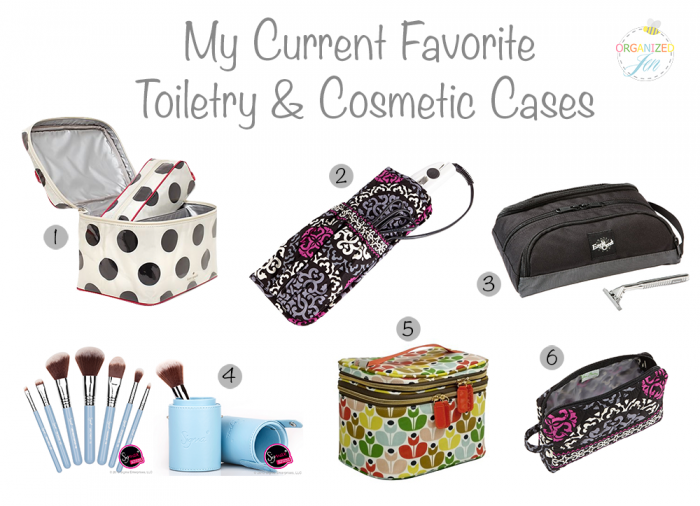 I thought I would also share my current favorite toiletry and cosmetic bags here since I discuss them in the coordinating video to this post (see below). I am still using and loving my Kate Spade Large Natalie (#1) for my main toiletry case, which I shared in my post on Travel Toiletries from February 2013. I use the Vera Bradley Straighten Up and Curl (#2) to keep my curling iron safely stashed. Don uses the Eagle Creek Pack-It Quick Trip (#3 – on sale now!) for his toiletries. I always pack my Sigma Mrs. Bunny Travel Kit (#4) for high quality makeup brushes while traveling. I love the little cup they come with, which not only keeps the brushes protected during travel, but acts as brush holders once I reach my destination. I just bought the Orla Kiely Sweet Pea Double Train Case (#5) from Target to use for my makeup. So far I like it! I have used the Vera Bradley Small Cosmetic Case (#6) for many purposes over the years. Lately for travel I use one to stow my Clarisonic Mia face brush and charger and another to corral all of my pre-bedtime necessities such as vitamins and moisturizers. I just pop this case in the bedside table drawer at my hotel upon arrival for use throughout the trip. All of these cases serve their purposes well and fit like a glove into my Gear Warriors! Photo sources for the above images can be found with the provided links. It was a bit ambitious of me to try to fit all of our holiday travel “gear” into one bag for our recent long weekend stay in New York City, but I knew if I could manage it that the Eagle Creek Gear Warrior 36 would be my best bet. As usual, I packed in two layers, placing smaller cases and shoes on the bottom between the rungs of the telescoping handle with our larger toiletry cases and Pack-It folders and cubes packed with our clothing on top. It all fit and weighed in just under 48 pounds (within the 50 pound luggage limit)! I had enough room to pack my coat into one of the exterior pockets as well, which is something I like to do sometimes when traveling during the winter so I don’t have to take my coat on the plane with me if I feel I don’t need it. The bag and organizers made packing and unpacking for our holiday weekend a breeze. I find that even a seemingly unimportant thing such as organized luggage makes a huge difference in my travel experience. Being an organized traveler is especially beneficial to me during the holidays when I feel more strapped for time. overwhelming amount of words that could be replaced with a single amazon link. One of the things I love about blogging is being able to express myself, my opinions, thoughts, and feelings in writing. I enjoy providing my experience in detail. I understand and appreciate that this might not suit everyone’s taste, but the great thing about videos and blog posts is that you can choose not to watch or read the ones that do not interest you. While i know that I can choose what to watch, I find that it really patronizes a long time viewer who looks forward to new videos. If my view is worth your time, it would be nice to get new content. Otherwise, I will have to unsubscribe all together because I will assume the content will always be the same. 🙁 Just trying to let you know how many viewers and readers feel. I appreciate your honest feedback. 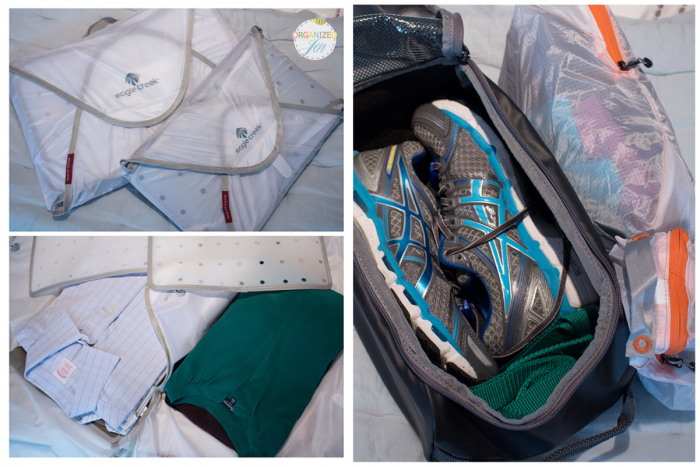 I wanted to share my thoughts on this new gear as I am an avid lover of packing, luggage, and packing organizers, which is why I chose to do so with this blog post and video. I realize some people find it redundant, but some people seem to enjoy it as well. Ultimately, I chose to post this because I wanted to share it. I realize I have a lot of similar packing videos and I will refrain from posting any more for awhile unless I have something new to share. Thank you for the consideration, Jen. I’ve thoroughly enjoyed it. You can’t please everyone, but I have definitely loved it and found it useful! I still prefer the regular Pack-It Cubes for packing the majority of clothes, but see myself using the Specter Pack-It Folders for dress clothes. 1. Were your dress clothes wrinkled when you unpacked them? I’m just really nervous about my groomswoman dress being really wrinkled and them not coming out. 2. I’ve been experiencing some slight discomfort with my nails and now they’ve become painful and brittle. I emailed another cousin of mine who’s a dermatologist and she recommended that I start using some cuticle cream and some cuticle oil whenever I paint my nails. Do you have any recommendations of cuticle cream AND cuticle oil. If yes, then I would like to know the brand name, at which stores they’re available, and an approximate price range. P.S. : Give Winnie, Don and Grace a hug and kiss from me. Also to your MIL. Is she doing better now? Hi Katherine – I found that our dress clothes were pretty much crease free when I unpacked them. 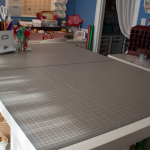 Any small creases from the fold lines fell out quickly after hanging them up. I was really impressed with the folders! I’m not sure how a dress would be using them, since I haven’t tried that myself, but if you fold it right, I don’t see why it would be any different than shirts. As for cuticle stuff – I have been loving Dior’s Huile Abricot Serum & Creme Abricot Fortifying Cream lately (I think you can get them both at Sephora and Nordstrom for around $25 each). Hope this helps and that you have a lovely time at your cousin’s wedding. Hi Jen, I just wanted to offer a suggestion for future packing videos. In addition to how you pack, could you go into what you pack and why? Maybe discuss fabrics that travel well or outfits that can go day to night, etc. I was wondering whether you have different types of luggage as far as more rugged, less formal for adventurous types of trips and more dressy (for lack of a better word) luggage for business/formal occasions? Sometimes I feel like I need something “nicer” if I’m going to a wedding or super fancy affair. Just wondering what you’d suggest. Hi Jen, I have never used a duffle style luggage set. Are you able to lock it with a TSA padlock? Hi Jen! I just wanted to let you know that I enjoyed your video and found it informative. I don’t understand all the negative feedback. You were giving your opinion on a new piece of luggage and helpful tips on what will fit inside. I love Eagle Creek pack it cubes and have been considering getting some luggage, so it was especially interesting for me. I personally love all your packing videos. I find something new and helpful every time I watch one. So please don’t stop doing them. Thanks for all you do! I love all of your videos! This is probably my favorite packing video though. I’m definitely going to invest in the 36″ Wheeled Duffle and some of the cubes from Eagle Creek! I never get tired of your packing videos and this one did not dissapoint. I especially loved seeing the new products you featured. I finally had a chance to watch this video – loved it!! Thank you! I was just wondering how your new Eagle Creek bag compares to your LLBean rolling duffle? What to you like better with LLBean? What do you like better with the Eagle Creek? I’m trying to decide which one to purchase 🙂 Thanks so much! While the LL Bean duffle is great and certainly less expensive, it is not as sturdy as the Eagle Creek version, which has more structure to it. I also like that the EC bag will stand upright on its own, whereas the LL Bean one will not. That sounds like a little thing, but it bothers me every time we use those bags. I still think they’re great rolling duffles, but they are more truly duffle like in construction whereas the EC Gear Warriors are a hybrid between a duffle and a suitcase. Hi Jen, You’re videos are both helpful and positive! I especially appreciate when you show clothing and items from Target since I am on a budget. I have always struggled with both packing and what to pack. I am visiting my daughter, son in law and 9 month old grandson in San Francisco over the holidays and would like some suggestions for a short warm robe and coordinating sleepwear that are stylish. I bought the navy short exhilaration robe you showed late summer but not sure if this will be warm enough since I’m use to Southern California weather. Thanks again for so many great ideas!!!! I have been wearing that very same robe a lot lately and it’s been very cold here (in the single digits some nights!). I pair it with some cozy pj pants and find it pretty warm. of course, how warm or cold you may feel varies from person to person, but I do find it warm enough. Hope this helps! Wishing you happy & safe travels! I love all of your travel videos! They are my favorite! I really like how you change things and are always finding new things to love about traveling and you don’t stick with just one thing because you can find something that works even better! If I travel, then I will probably have my son (10 months) with me and I really only want to carry one bag. What size would you recommend (for the previous eagle creek suitcases you had)? What size bag you choose depends on what style packer you are (light vs heavy) and how long your trip is. I would first assess how much I usually feel comfortable bringing with me on any given trip before investing in a proper size bag that suits my individual needs. I’m in the market for some luggage and was hoping you could help me with some options. Our 14 year old son is now in high school and it seems like they’re taking trips every couple of months or so. Up until now his Kipling luggage and LL Bean rolling duffle that he’s grown up with has suited him well but with more trips and with college tours and even college being just around the corner we’re looking to invest in something that will last him into young adulthood. My husband and I have the Eagle Creek warrior bags but they’re a little to big for my 14 year old to handle on his own, he weighs about 95 pounds so we need to find something on the lighter side. Some of his trips are week long camping trips so we need to pack for colder weather, lots of layers with lots of options and some of 2-3 days trips are performance related so he needs to pack a tuxedo, music and other dressy clothes for more casual performances. I’ve watched your channel from the beginning and have enjoyed watching your life transition into motherhood. I remember those early days with my 2 boys like it was yesterday. Time flies, doesn’t it? !